The 2017 Legal Issues in Museum Administration, LIMA, will be held on March 29 – 31 in Dallas, Texas. This course of study, offered by the American Law Institute Continuing Legal Education, ALI-CLE, and cosponsored by the Smithsonian Institution, is an excellent means of staying up-to-date on legal and legislative issues crucial for museum/ gallery operations. It will be of special interest to AAMG Leadership Seminar participants. Take a moment to look at the topics covered during the program. ALI CLE is offering a limited number of full tuition scholarships for the $1,399 course registration. Through generous funding from the Samuel H. Kress Foundation, AAMG is offering a limited number of grants for travel, housing and meal expenses to AAMG members who receive ALI-CLE tuition scholarship. You need not be an AAMG member to apply, but you must be a member by the time LIMA takes place. Only academic museum and gallery directors and administrators are eligible for a grant. Applying for the AAMG travel grant is simple. You must first request an ALI-CLE tuition scholarship (deadline, January 31). Send a copy of your ALI-CLE request along with estimated expenses–see attached–to treasurer@aamg-us.org. PLEASE USE THE SUBJECT LINE “2017 LIMA Travel Grant Application.” When you are notified by ALI-CLE about the status of your request, contact treasurer@aamg-us.org with an update. Reminder: board members and officers and their institutions are not eligible for this and other AAMG sponsored grants and scholarships. Several of our board members can speak from personal experience about the value of the program. Having attended past LIMA’s, our board describes this as THE “must-attend” program for museum directors and administrators. Attendees also receive comprehensive course materials which supplement the discussed topics and are invaluable reference materials. 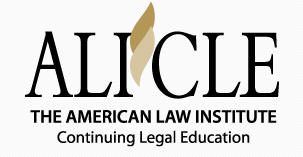 The American Law Institute (ALI), founded in 1923, is the leading independent organization in the United States producing scholarly work to clarify, modernize, and otherwise improve the law. The Institute (made up of 4,000 lawyers, judges, and law professors of the highest qualifications) drafts, discusses, revises, and publishes Restatements of the Law, model statutes, and principles of law that are enormously influential in the courts and legislatures, as well as in legal scholarship and education. ALI has long been influential internationally and, in recent years, more of its work has become international in scope. By participating in the Institute’s work, its distinguished members have the opportunity to influence the development of the law in both existing and emerging areas, to work with other eminent lawyers, judges, and academics, to give back to a profession to which they are deeply dedicated, and to contribute to the public good. Continuing Legal Education (CLE) is a core program of ALI.